You might think you’re pretty clever with those chemical hand warmers and polyester layers to keep you warm and toasty, but the plants and animals around you have developed some pretty cool tricks of their own to cope with blustery winter weather. Consider the wood frog. This critter can freeze solid in the winter. It has no heartbeat and doesn’t breathe, but when the weather warms up, it thaws out good as new. 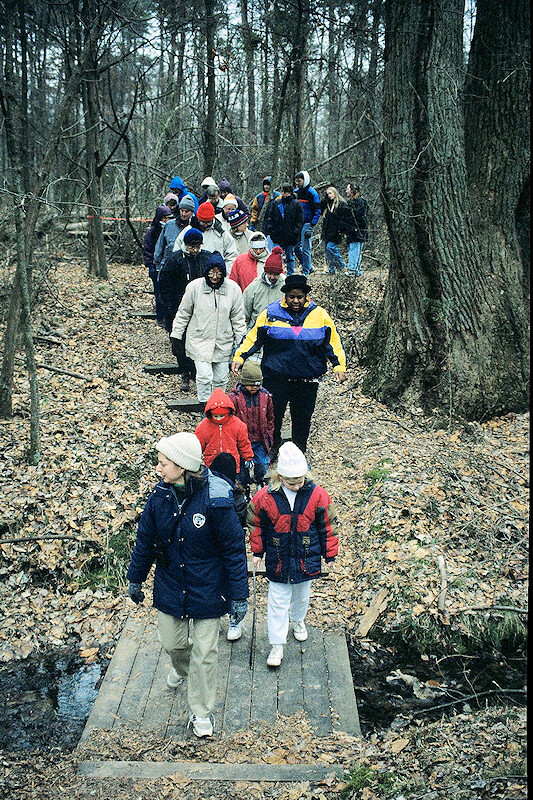 Most frogs don’t take things that far, but Ellanor C. Lawrence Park naturalist John Shafer says a lot of amphibians go through chemical and physiological changes to protect their cells during winter’s cold. Because there is moisture in cells, if that moisture freezes and expands in the winter, cell walls could pop. Certain amphibians have developed something that amounts to cellular antifreeze to keep that from happening. It’s well-known that bears just don’t bother with winter at all and go into a period of hibernation. 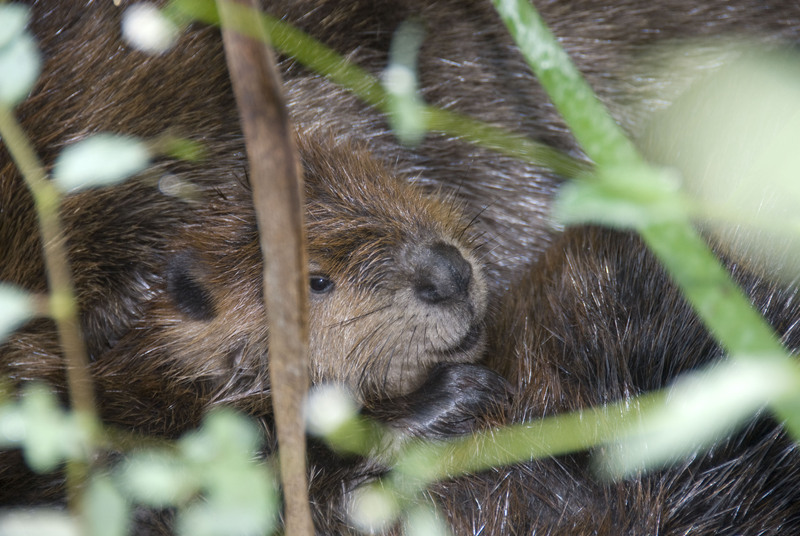 Of course, we don’t see many bears here in Fairfax County, but we do have one local hibernator — woodchucks. Don’t bother looking for them again until spring. Some animals enter into a hibernation-like state known as brumation. They don’t really sleep like a hibernating bear, but their metabolisms slow way down. When the weather warms, you may see them up and around again, until the next cold front passes through. Chickadees can go through a brumation cycle every night, dropping their body temperatures way down after dark and warming them back up again so they can fly in the morning. Some animals are just naturally good planners and never have to leave their homes to get a winter snack. 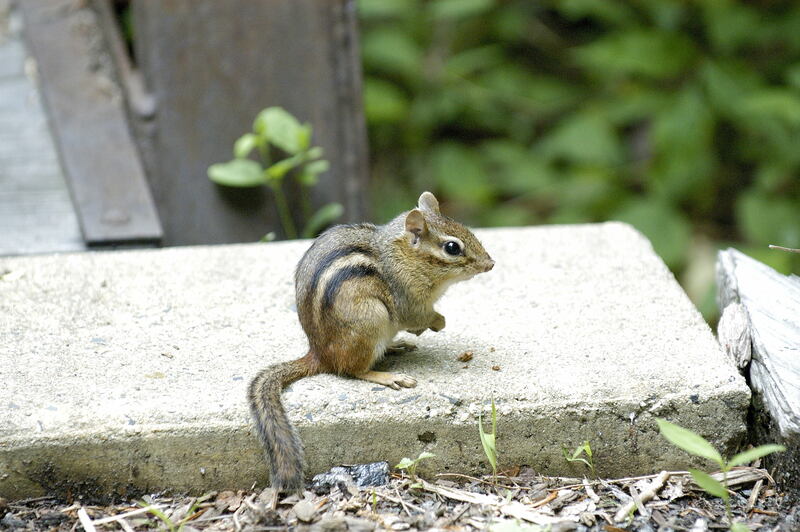 Tony Bulmer, another of the Park Authority naturalists at Ellanor C. Lawrence Park, says that when chipmunks get hungry during the winter, they just eat from their pile of stored food. They can sleep on top of the stockpile and work their way down. “When it’s about done, it’s time to come out,” adds Bulmer. You’re also less likely to see turtles popping up for air during the winter. Turtles can go down to the bottom of a pond and dissolve oxygen out of various parts of their skin during the whole winter. Bulmer says they can absorb or exchange just enough oxygen through the water to survive. Water fowl have yet another coping mechanism. Some ducks and geese can shut certain veins off in their feet to prevent freezing. Bulmer says you might see them standing with one foot out on the ice. When it comes to insects, you may not see adults flying around, but whatever eggs were laid in the fall are slowly developing into another stage. Those insect eggs can be just about anywhere, in the ground or in the trees. In general, plants are more likely to react badly to temperature changes than animals. For instance, Bulmer says that with trees, “If we get five or six days that are 55 or warmer, it takes them out of the state of rest and they start producing buds. Then, if it freezes again, that can hurt the tree by injuring new buds.” Plants can’t put a bud under a bud, so those early buds can become a sort of dead spot on the plant. One of the area’s earliest blooming plants is a native that uses chemistry to simply outsmart the weather. Shafer explains, “Skunk cabbage will actually heat up and melt itself a hole in the snow cover early in the spring so it can bloom and come up and get started.” Feel free to marvel at its cleverness, but you probably don’t want to take too big a sniff of this aptly-named plant. 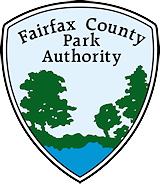 This entry was posted in Uncategorized on January 7, 2016 by Fairfax County Park Authority.